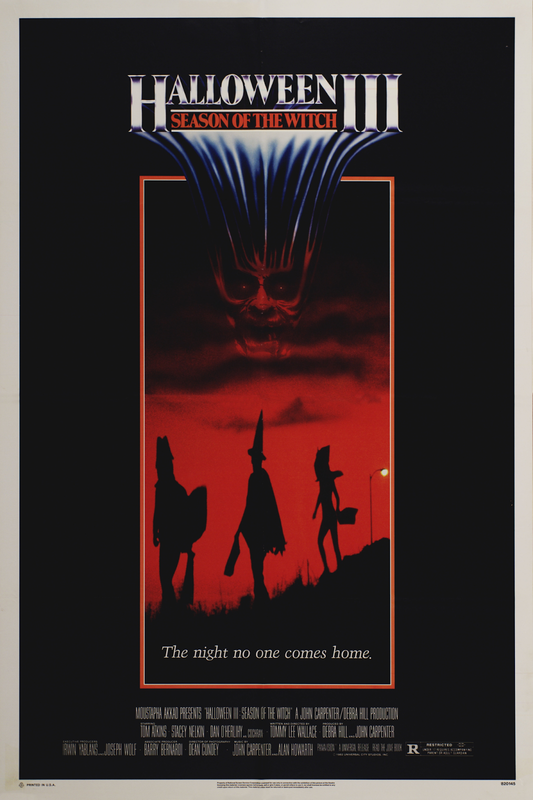 Having grown up on the Halloween franchise and declaring the first movie as my all time favorite horror movie, I still distinctly remember the first time I saw 'Halloween 3: Season Of The Witch'. It was so tremendously awful that I didn't know if I would ever be able to forgive the franchise. Well, 'Halloween 4' was a pretty solid "Hail Mary" for the series, but I digress. It was, quite literally, another twenty years before I was subjected to this movie yet again. I was "vacationing" in Plymouth, Mass. when a "nor'easter" struck. Confined to the house, I was really very excited about the Halloween marathon happening: until it was time for the third installment. I decided to look at this as an opportunity to view the movie with different eyes and was justly rewarded. Season Of The Witch is a horror/sci-fi hybrid of a movie that really delivers. An unusual murder/suicide brings a Dr. Challis (Tom Atkins) and Ellie Grimbridge (Stacey Nelkin) together to investigate the Silver Shamrock factory. Arriving upon the tiny town that is home to the factory, Ellie remarks how dead the town seems. The streets are unusually quiet, people are never seen outside of their houses and there is a nightly curfew. All of these rules are at the behest of Mr. Cochran; the owner of the Silver Shamrock Factory. The Silver Shamrock company is selling halloween masks through the use of an incredibly catchy jingle; once you hear this song, you will be humming it for the rest of your life. The promise of a big giveaway on Halloween night lures kids across the country to covet the Silver Shamrock masks. Unfortunately for the kids, there are only sinister reasons behind this marketing strategy. To reveal any more of the story would take away from the fun of watching it unfold. It is important to note, however, that Michael Myers is only to be seen for a mere 10 seconds on a T.V. commercial. If you remember, Michael died at the end of Halloween 2. John Carpenter had intended on using the Halloween franchise to tell a different story with each film. While this seems like a good idea, it failed miserably and, hence, Michael returned for movie number four. It is for this reason that 'Season Of The Witch' should be looked upon as a stand alone movie. On it's own, this movie has some really amazing 80's synth music that's especially effective in helping create the jump scares. The gore is very well done and at an acceptable level; not too much and not too little. Outside of the gore, it really feels more like a Science Fiction film. There are automatons, robots, a stolen piece of Stonehenge, planet alignments and so much more! Quite frankly, this movie feels as if it might be the very first X-Files episode; it's that good. The plot is interesting, the characters are easy to identify with and the movie has an, overall, creepy vibe the entire running time. 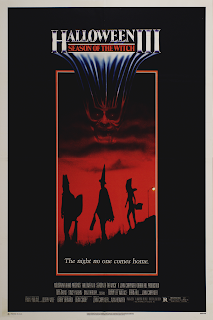 Season Of The Witch should be relieved from the Halloween franchise so that it can get the attention that it deserves. If you've never seen it, you simply must take care of that deficit, If you had seen it ages ago and were miffed at the absence of Michael Meyers, I implore you to revisit the film and completely forget about Mr. Myers. 'Season Of The Witch' is a stand alone film that is engaging, well paced and has a truly sinister storyline.